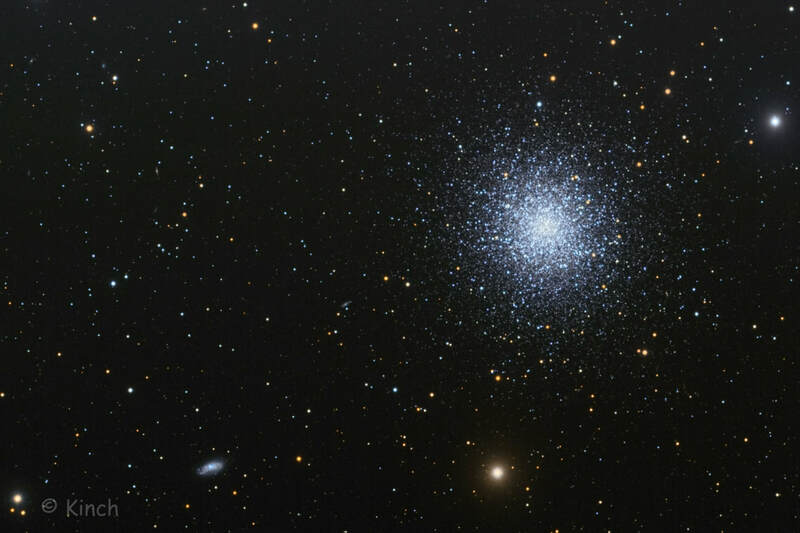 M13 is about 145 light-years in diameter, and it is composed of several hundred thousand stars, the brightest of which is a red giant, the variable star V11, with an apparent visual magnitude of 11.95. 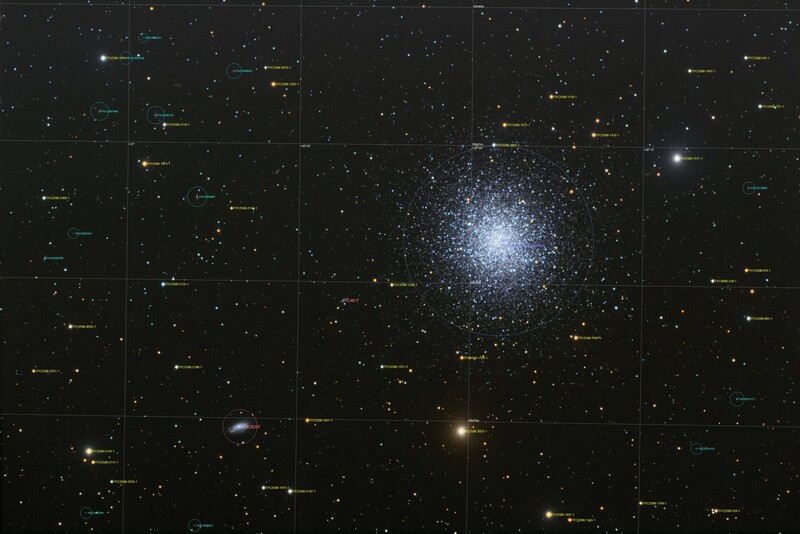 M13 is about 22,200 light-years away from Earth. 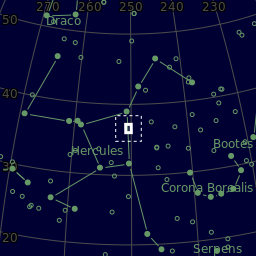 With an apparent magnitude of 5.8, it is barely visible with the naked eye on clear nights. Its diameter is about 23 arc minutes and it is readily viewable in small telescopes. The Arecibo message of 1974, which contained encoded information about the human race, DNA, atomic numbers, Earth's position and other information, was beamed from the Arecibo Observatory radio telescope towards M13 as an experiment in contacting potential extraterrestrial civilizations in the cluster. 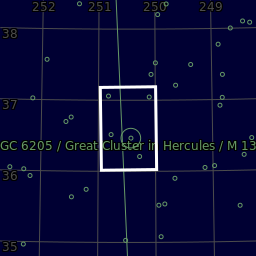 The cluster will move through space during the transit time; opinions differ as to whether or not the cluster will be in a position to receive the message by the time it arrives. Total integration = 8.35 hours. Center (Dec, dms):+36° 36' 09.074"
Annotated Image - click on image for full resolution.